Protank offers the best polyethylene plastic leg and horizontal tanks available today. All of our plastic tanks are available in 1.5 and 1.9 specific gravity. We can also offer some of our tanks in 2.0 SG. Protank’s polyplastic tanks are rotationally molded and are available in HDPE (polyethylene) as well as HDXLPE or XLPE (crosslinked polyethylene). 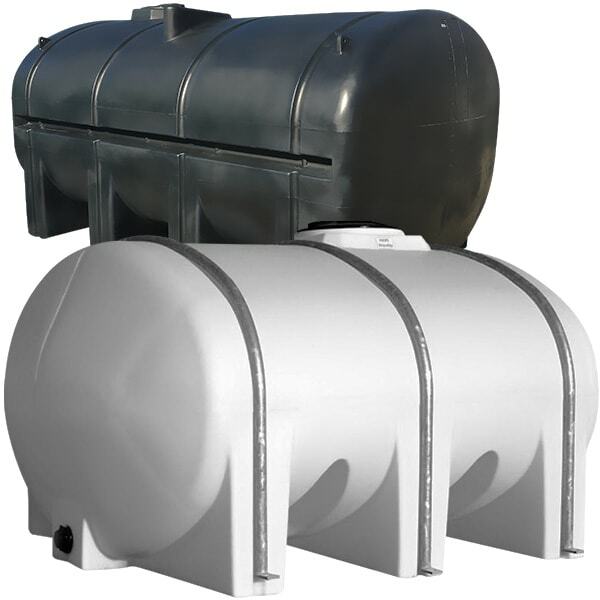 Some of the different styles of tanks we offer are horizontal and elliptical leg tanks, low-profile tanks, PCO, drainable-leg tanks, elliptical tanks, and spot sprayer tanks. We offer many different sizes for our plastic horizontal tanks to meet your purpose. Our tanks are primarily used for transporting liquids. Our leg tanks feature molded legs that act as “baffles” to reduce sloshing. All of our plastic horizontal leg tanks are available with steel bands that allow for complete tie-down for the tank. Most of our plastic horizontal leg tanks are available in premium and heavy-duty weights. All of our plastic horizontal leg tanks are equipped with a drain fitting. All of our horizontal tanks can be offered in black to prevent algae growth. We also offer skids for several of our horizontal leg tanks.